Building a solid, diversified investment portfolio requires a mix of different products, from fast-growing stocks to safe-and-steady bonds to rock-solid Treasury bills. The same is true of the credit cards in your wallet. A smart credit card strategy can help you make the most of cards’ benefits while steering clear of drawbacks. Of course, if you’ve collected credit cards primarily because of the great introductory offer or the 10 percent discount offered on the first purchase, it’s likely that you don’t have a perfect mix of cards for your needs. The card: Your first credit card. 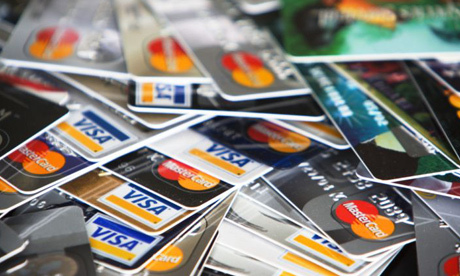 The reason: Nostalgia aside, your first card is a key to building a strong credit history. How you’ll benefit: A long credit history — often starting with that first card in your late teens or early 20s — is one of the keys to getting great loan rates, which can save you thousands of dollars over time. What to look for: You’ve probably got it in your wallet already. If not, look for a credit card with a low interest rate, at least a 25-day grace period, and free online balance access and payment options. When to ditch it: If it’s not a card you use regularly and you’re getting hit with annual fees, you’ll probably be better off dropping it, especially if you’ve got another card with a similarly long history. The reason: If you rely only on a single card processor (such as Visa, MasterCard, American Express) or Discover you may find yourself in a bind if a store won’t accept it. You may also miss out on some great deals. How you’ll benefit: It’s hard to put a price on peace of mind, but knowing you’ve got options in a pinch is valuable. And according to Scott Bilker, founder of DebtSmart.com, you can reap rewards at many locations. “For awhile, you could get discounts at Great Adventures Six Flags for using your American Express,” he notes. Similarly, MasterCard has offered discounts on travel packages and sporting events just for using its card. What to look for: International travelers should be sure to have a Visa in their wallet, which is accepted in more places worldwide; otherwise, just be sure to have cards from at least two processors. When to ditch it: It’s not worth it to have a second issuer if the card itself has crummy terms. Drop it and get a new one from another issuer if you don’t like the card’s conditions. The reason: You don’t want to be at the whim of a single credit card issuer when the economy is rocky. What to look for: Find a card that has terms similar to the one you use most often, so you can swap issuers without a hitch if necessary. The reason: Free flights, cold cash, cool merchandise. What’s not to love? How you’ll benefit: No matter what you crave, you can probably get it with a reward card, which is a fantastic perk if you use the cards wisely. What to look for: At a minimum, look for cards that offer at least 1 percent in rewards or cash back — and look for cards that offer even better terms on certain purchases or at certain times of the year. When to ditch it: Can’t pay it off each month? Dump it, says Williams. “The minute you revolve a balance, you lose all the value of those rewards,” she says. And if you find the rewards points gathering dust, it’s time to consider a switch. The reason: If your spend thousands of dollars a year at a department store, big box store or other retailer, the oft-lambasted store card might just be a good deal for you. What to look for: Try to find a card that’s linked to a major processor such as MasterCard or Visa and can be used anywhere, rather than one that can only be used at one store. And choose wisely: select just one store where you tend to focus your spending, not a dozen where you can get a quick discount on a purchase and never use it again. When to ditch it: If you phase out your spending at the store or you carry a balance from month to month, it’s time to bail. And definitely close accounts you used just once for the discount. They can make identity theft easier. The reason: A medical emergency, midwinter furnace meltdown or flight to see a family member in trouble may mean you have a big bill due, but not the means to cover it. How you’ll benefit: Life happens, but that doesn’t mean you should be penalized for years to come as a result. An emergency card will give you reasonable terms as you whittle the debt down over a few months. What to look for: A high limit, low interest rate and long grace period will help you get back on your feet more quickly. Don’t bother trying to grab rewards. When to ditch it: If you find that interest rates get hiked or your credit line has been sliced, don’t panic, but start scouting for a new card. The reason: If you run your own business or go out for lunch on the company dime, it’s best to keep a bright line between business and personal expenses. What to look for: Anything goes if your company issues the card; if you’re getting it for yourself, consider small-business specific cards, which often offer special perks such as no pre-set spending limits or extra rewards on common purchases including office supplies, hotel stays and flights. When to ditch it: If you close up shop on your own business, drop the card; and if you’re tempted to put non-business expenses on the card, it may also be time to re-evaluate. The reason: You’re laser-focused on paying off debt — and not incurring any new charges. How you’ll benefit: There are still deals to be had on balance transfer credit cards, as long as you don’t make a game of it. Done wisely, you’ll save money overall. When to ditch it: You’ve paid off the balance. Don’t tempt yourself with a brand new opportunity to get into debt.